Wake up feeling rested and hop on the elevator down to the gym for a quick workout (I suppose you could take the stairs... but it's early morning so no judgement). Morning Coffee on the rooftop Terrace. 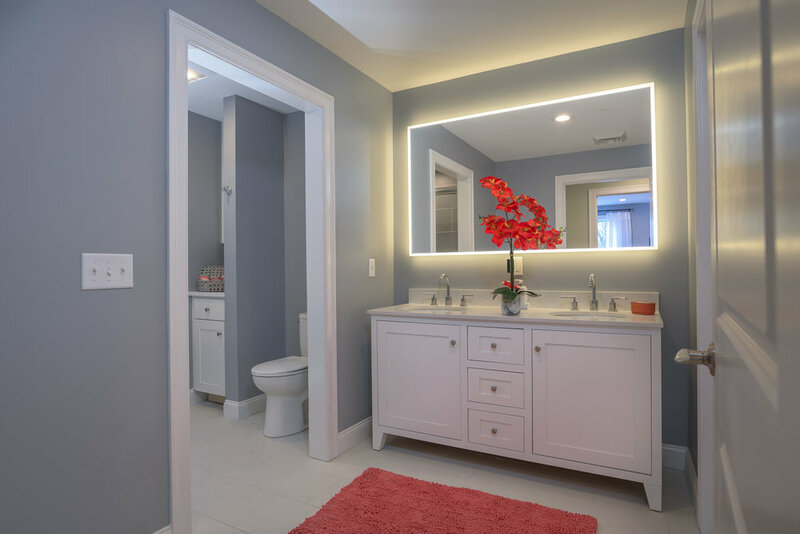 Shower and get ready in your over-sized bathroom with double vanity (in case you have to share). Toss your towel in the dryer while you're in there to warm it up... after all it's just two steps away and there are few things better than a warm towel. Take your time coordinating your outfit in the large, walk in closet. You've got plenty of time since you didn't have to drive to the gym. Off to work... Drive 3 minutes to Main Street for a quick bite on the way. Coffee number 2? Check. You're not limited on options... Simon Says, Felicias, Main Street Coffee, The Nook, Jiggers, Dante's, Raw Bobs, and Raise the bar are all just minutes away. Time to Grind. Relax; you're way ahead of schedule and the highway is just a few minutes away. It's going to be a great day. You Just got an alert on your phone - the dog walker has arrived at Terrace to let Charlie out: Just tap the button on your app to grant entrance and the pup is good to go. Stop at Dave's on your way home to pick up everything you need to make dinner - Don't feel like cooking? Their prepared section has so many good options or make a quick stop at Tio Mateos if you're feeling the Fuego tonight. Getting home - there's plenty of parking and you can be rest assured that your place is safe and secure. A couple of neighbors are around the rooftop fire pit sharing a beer and a laugh - sounds perfect! Tough day? Maybe a vodka martini to enjoy on your private balcony instead. Add 2 ounces vodka, a birds beak of vermouth, and just a splash of olive juice. Shake like you mean it and garnish with a couple of olives. Watch the sunset making sure to take a photo of the reflection off of the tiny ice shards which float atop your martini. Up the contrast and saturation and adjust shadows as necessary. Post to instagram with clever caption. 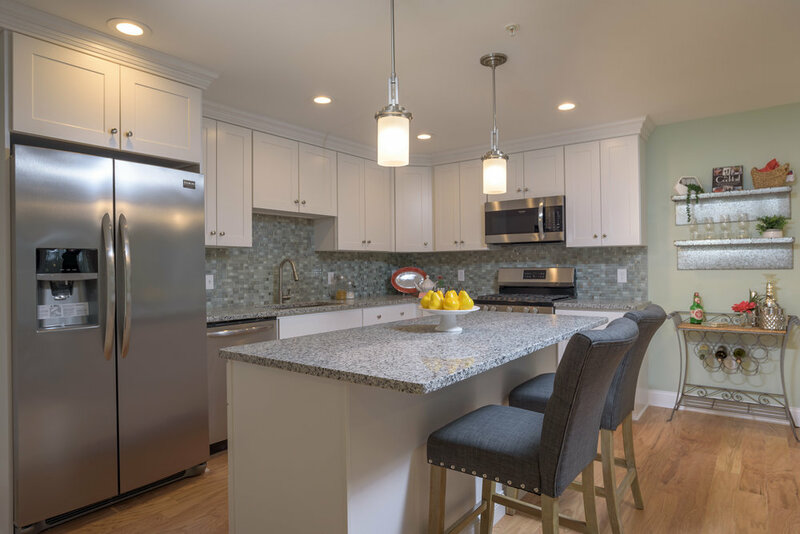 Cook up some dinner in your open kitchen. Obviously jam out in the process... the layers of sound attenuation will keep the music within the walls. The stove hoods are designed to vent directly outside so crank the gas cook top until the oil in the Cast-iron is just about smoking. Make sure to let the steak sit for a few minutes before cutting (always against the grain)... Watch impatiently before devouring. Time for a night cap. After all, you deserve it - look at all that you've done today! Where to?!? Hmm... you've got options. Kai Bar, Tuscana, Besos, Fresco, Mckinleys, Blu, Harborside, Red Stripe, Roccos, Raku, Rasa, Kon, Cigar Bar... The list seems to get longer every month. Call an Uber - after all it's only a few bucks and you would have spent it on valet anyway. Your driver is 10 minutes away - just enough time to take a quick seat in your office and shoot out a few extra emails to make life easier tomorrow. Start on Main and hop your way down to the waterfront; Live music tonight. Head home, Sleep Well. Be Happy. Repeat. Discover how to maximize your time and live the best life you can at The Terrace on Main: We'd love to show you all that Terrace has to offer. Contact us today to schedule a private viewing. Explore our model unit at the Terrace on Main. 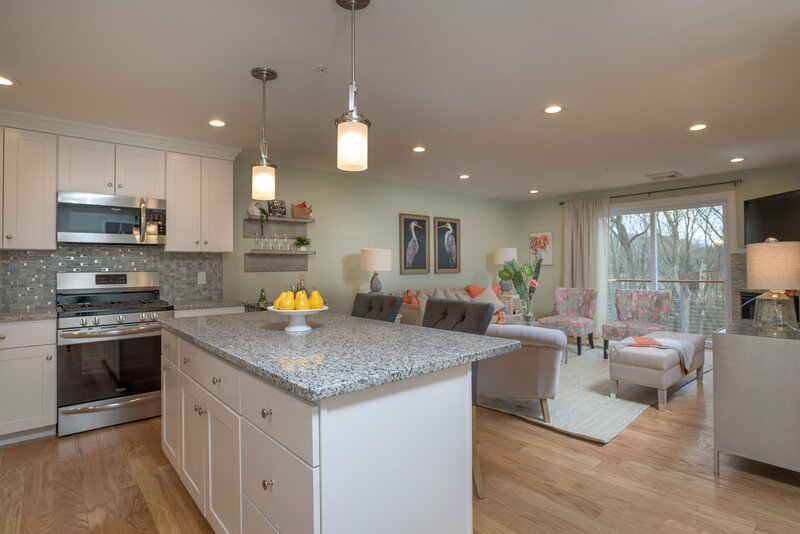 Amenity rich living just steps from downtown East Greenwich. Only 10 units remain available for reservation. 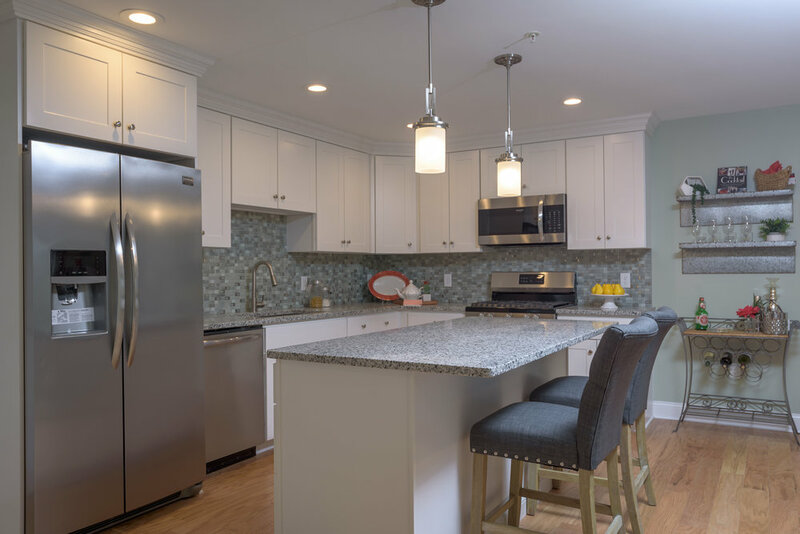 On track for a March 2018 Completion, East Greenwich's newest condo development offers extraordinary living just minutes from a thriving Main Street . 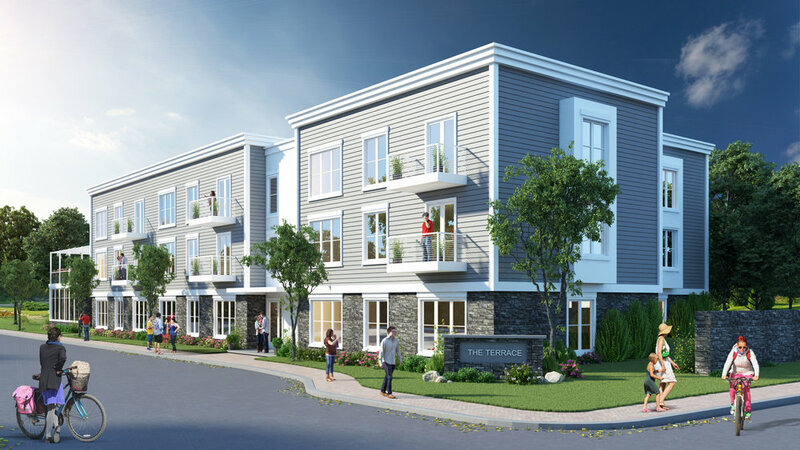 Terrace on Main features a spectacular rooftop, fitness center, pet friendly association, underground storage, and polished modern finishes with a condo fee under $250. Only 12 units remain. $5000 reservation deposits are fully refundable until building completion. Contact us for more information or to chat about the process. On track for an Early 2018 Completion, East Greenwich's newest condo development is beginning to take shape. 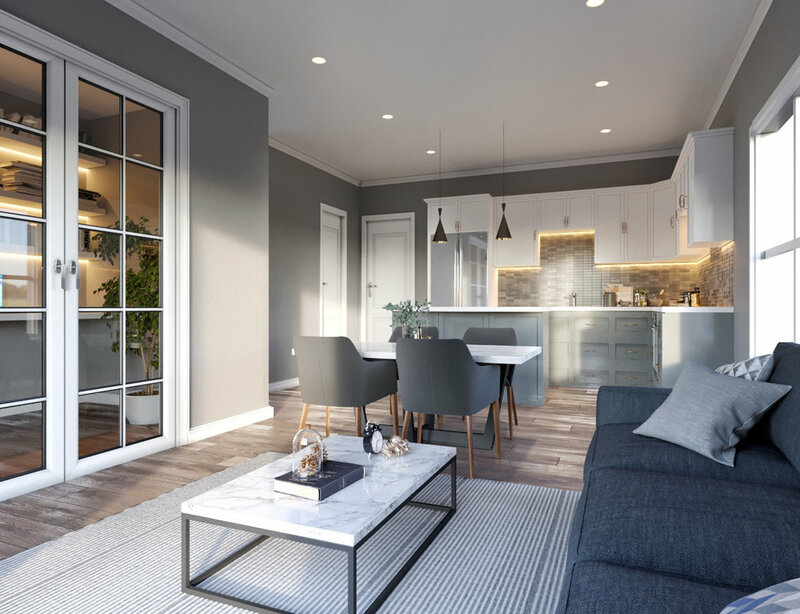 Terrace on Main features a spectacular rooftop, fitness center, pet friendly association, underground storage, and polished modern finishes with a condo fee under $250. Only 13 units remain. $5000 reservation deposits are fully refundable until building completion. Contact us for more information or to chat about the process. 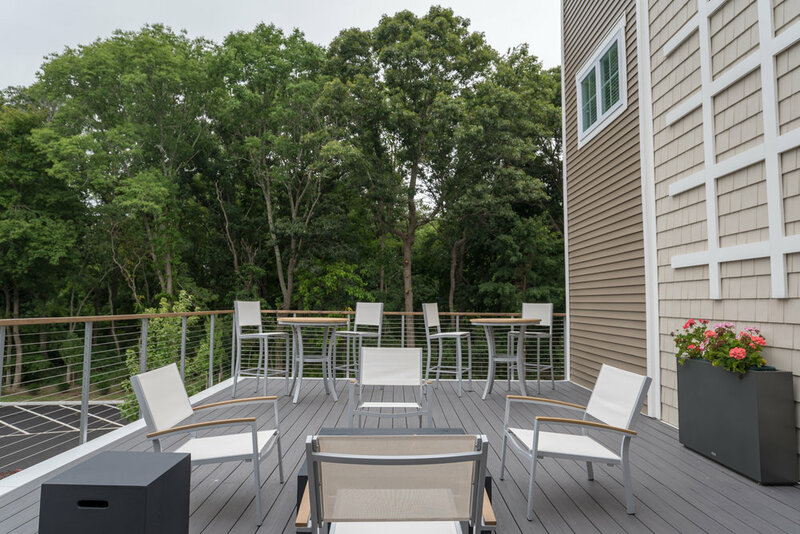 The Terrace on Main: Easy Living in Downtown East Greenwich. Featuring a spectacular rooftop terrace and modern finishes, The Terrace on Main is on schedule for an Early 2018 Completion. With 14 units remaining and limited corner unit inventory, now is the time to reserve your unit in EG's hottest new condominiums. $5000 reservation deposits are fully refundable until building completion. Contact us for more information or to chat about the process. Terrace construction is moving quickly and is on schedule for an early 2018 Completion. With 14 units remaining and limited corner unit inventory, now is the time to reserve your unit in EG's hottest new condominiums. $5000 reservation deposits are fully refundable until building completion. Contact us for more information or to chat about the process. Foundation is in as The Terrace on Main begins to take shape. Explore what we have to offer in the hottest new condo complex in the state. Due to high demand, we revised our initial plans and modified plans for three units to become two custom units featuring two bedrooms, 1450 feet, a larger, wide open kitchen and living area with over sized patio.. Priced at $436,000; and with one unit already reserved, don't miss your opportunity to live in this remarkable space. 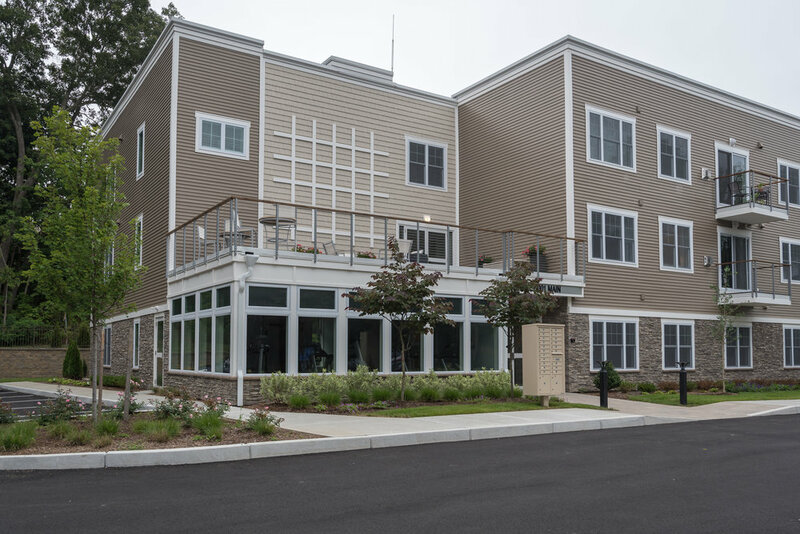 Just an 8 minute walk from the bustle and beauty of downtown East Greenwich, Terrace on Main is more than just a place to live - It's a way of life.